The AbraxSys line of high performance, sunlight readable LCD displays and high bright LCD computers are ideal for outdoor or high ambient lighting conditions and harsh condition environments where a top performance daylight viewable flatpanel monitor is required. 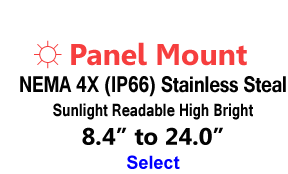 The AbraxSys rugged sunlight readable line of daylight viewable LCD displays with optional touch screen is designed for use throughout a wide range of harsh outdoor lcd applications requiring high brightness displays. Standard flat panel LCD displays are fine for most indoor applications, but they are challenged in outdoor rugged or environmentally extreme applications. For these applications, commercial displays are all but useless. The OEM display manufacturers are not focused on these extreme markets and applications. 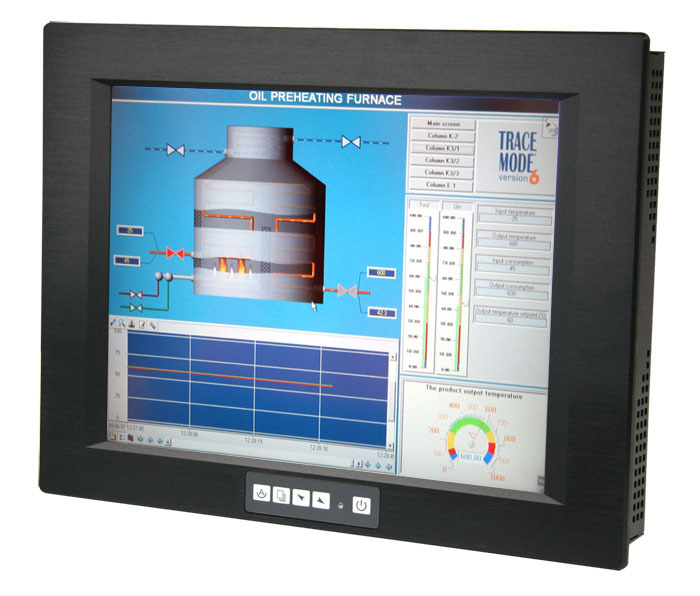 Our rugged daylight viewable high bight LCD monitors with optional touch screens are rigorously tested to ensure compliance with various industry standards and are engineered to withstand the effects of severe environments such as water, dust and dirt intrusion. 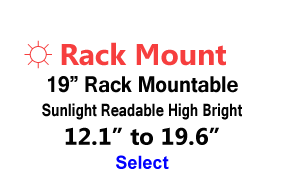 These daylight viewable high brightness monitors perform well beyond ordinary "commercial" type flatpanel monitors. 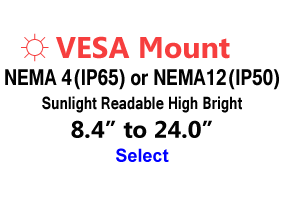 AbraxSys' high bright sunlight readable LCDs are ideal for use in any outdoor high ambient light condition, and will give you the high brightness and color brilliance your daylight viewable application requires. Although a display with less than 500 nits screen brightness and a mere 2 to 1 contrast ratio can be read in outdoor environments, the quality of the outdoor display will be extremely poor. AbraxSys' high brightness monitors deliver a radically higher level of brightness, resulting in unparalleled picture sharpness. AbraxSys' high-performance high bright products are ideally suited for use under any high ambient light condition, and will give you the intensity and brilliance your outdoor display application requires. 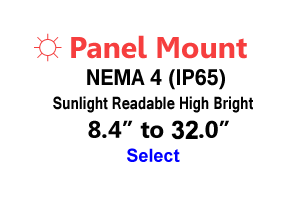 A truly sunlight readable display is typically considered to be an LCD with 700 nits or greater screen brightness with a contrast ratio greater than 5 to 1. In outdoor environments under the shade, such a display can provide an excellent image quality. AbraxSys' Sunlight Readable Enchanced LCD High Bright models have a dimming ratio of at least 200:1, meaning that the luminance can be adjusted from 100% down to 0.5%. Dimming capabilities are beneficial because lowering the backlight luminance will result in a lengthening of the backlight life. It also lowers the power consumption and the related thermal management issues. For more about what's behind the AbraxSys sunlight readable technology click here. 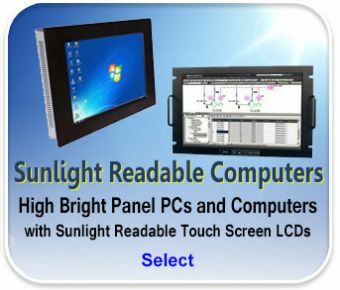 Contact Sunlight Readable High Bright LCD Specialist Today for information on our complete line of outdoor high bright lcd monitors, all-in-one computers, and fully enclosed workstations.